Hi, I am Adrienne, I live in Bromley, Kent, England. I am the mother of Jessica, who was born on April 2, 2000 (she missed April Fools Day by 37 minutes!). Jessica is my first and so far only child. Her father and myself separated whilst I was pregnant, he still sees Jessica on a weekly basis. My labour was absolutely fine, no pain at all, I just had a bit of a backache. Naturally I thought this is easy, why does everyone say it hurts so much. Then of course things started to go wrong and I had to have an emergency Caesarean; luckily my mum was with me. Jessica was beautiful. We had a room to ourselves and family visited all day. I remember that her hands and feet were shaking uncontrollably and my aunt, a nurse, kept telling the midwife in charge of me. All the midwife said was that she was cold and wrapped loads of blankets around her. Bearing in mind I was a new mother I accepted what she said. After visiting hours and alone with my baby in my arms, Jessica started shaking and then stopped. I called the midwife who took her from me and said she was cold and it was normal. I knew something was wrong; this happened three times. Jessica would not feed at all and hadn’t fed since she was born. I waited until shift change and a new midwife listened to me and Jessica ‘fitted’ in her arms. They checked her blood sugar level (BSL) and it was 0.3 mmol/l (5). They took her away to the special care unit and fitted a glucose drip immediately; I called her father and he came back to join me. At this time nobody had any idea of what was going on, doctors included. After three days they contacted Great Ormond Street Hospital and we were taken by ambulance. We stayed there until Jessica was three months old. 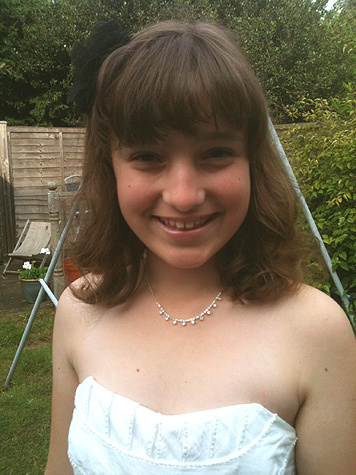 Jessica was fitted with a central line (Hickman line) for the glucose and drawing of blood. Our Professor, Prof Aynsley-Green was fantastic. Jessica’s father was with me and we wanted to know everything and the truth about what was happening. All medications were tried, diazoxide, octreotide etc and nothing worked at all. All this time I was not allowed to breast feed. I was desperate to do so but they had to know exactly how much liquid she was being given through an NG tube. I therefore expressed milk for 11 weeks. Finally Jessica had a PVS performed. (Portal Venus Sampling) This was a nightmare. I had to hold Jessica whilst they gave her a general anaesthetic. She went very floppy in my arms. This determined that she was focal and not diffuse. Jolly good I thought, one operation and all over!! A date was fixed for surgery to remove 60% of her pancreas. Two days before this she caught a line infection and a blood clot was found. I could see it on the scan passing in and out of her heart valve. The doctors decided she could not have her pancreatectomy until the blood clot was dealt with. By this time Jessica’s father was back at work and I was alone throughout the day. My mother travelled 2 ½ hours every evening to visit me after work. The Prof talked to me about open heart surgery to remove the line or just ‘pulling it’ out. The risks were enormous as it could have blocked her heart and she would die (the prof’s words). We had no choice and agreed to ‘pulling it’. That 20 minute operation was the worst operation I had to sit and wait for. It worked, we think, and she had another line put in it’s place. The clot was never found and they presumed it came out with the line. The pancreatectomy was rescheduled and she was operated on the week after. Unfortunately it did not work and she was back on a glucose drip again. Once more all the medications were tried and once more none worked. After inspecting the 60% of pancreas removed we were told that the PVS had not worked and she was in fact severely diffuse. Apparently it was one of the worse diffuse cases the Prof had seen, at that time. Therefore a second operation was performed three days after the first and a further 35% of the pancreas was removed. I felt awful just seeing my little baby lying there with morphine drips attached and whimpering in pain. The morphine was up to it’s highest but was not hitting the right spots, just another thing that went wrong!!! The 95% worked. No more glucose. Only now her BSL’s were getting higher and higher. Insulin. That was a word I dreaded, I knew nothing about diabetes but I did know there was the chance she could be diabetic. She was and insulin injections started. The dose was minute, 0.0025 of a unit. (one unit looks like about 1 mm). During the next ten days Jessica’s nappies started taking on a strange colour and after a scan it was decided her bile duct was blocked due to the two pancreatectomies. My poor little girl had to have a further operation, through the same wound, for a bile duct bypass. Once more, more morphine (which worked this time) and more whimpering. Jessica had had seven general anaesthetics by this time, I had held her each time as I felt she needed me to but I have to admit it was an awful feeling. Her ‘moved’ bile duct now worked properly but Jessica was now not digesting food properly. We knew this because of the colour, consistency and smell of her nappies. She was therefore put on Pancrex V which are pancreatic enzymes to aid digestion. They themselves stank! The capsules were opened and mixed with milk and syringed into Jessica’s mouth. They made her breath smell of cats’ wee and her nappies took on a most unusual foul stench. It was enough to clear a room very quickly. I was still expressing milk and only producing about 1 fl oz a time. After 11 weeks of being attached to a pump I gave up. I rather think the doctors and nurses were pleased as they could talk to me normally now instead of me with a see-through pump attached to my breast!!!! Jessica could come home. Brilliant! Firstly we got transferred to our local hospital so they could train me on insulin injections and testing BSL’s. The diabetic nurse introduced herself and gave me a BSL kit. I didn’t like it and she ended up letting me try about four until I found the perfect one for Jessica. I refused to come home with Jessica’s NG tube in place and as she had been feeding normally anyway by this time, it was removed. Injections I could eventually deal with but I could not bear the thought of inserting an NG tube. At the beginning of July 2000 I brought Jessica home. Over the next year I had to take Jessica many times to our local hospital as she was running high temperatures. This is just one of the many things I had to think about as she could have had an internal infection due to the bile duct bypass. One year we went to the hospital five times and stayed for a week each time; each time it was just a childhood virus but it was better to be safe than sorry. Insulin in young babies and toddlers is extremely difficult to manage. I was not aware and did not comprehend the difficulties that would occur. Until the child reaches school age they are changing dramatically all the time which means insulins and dosage have to be changed and you never get it quite right. Periods can go by where Jessica has been ‘hypo’ two or three times a day for a week and so we change yet again. In the end I just get used to it. At 20 months old Jessica was the most delightful, happy, ‘normal’ looking toddler you could wish for. She thought nothing of three insulin injections a day and BSL testing every 1 ½ to 2 hourly every day. She even held out her fingers for me and pointed on her leg to where I should give the insulin injection. She was on Creon 10000, another pancreatic enzyme which was mixed with fruit before each meal. Luckily these did not smell as much as the previous ones but they were not without their own unique smell. Still Jessica didn’t complain and just, at them up. How I felt at the time : My mum was my mainstay and always there when I needed her. I understood the condition was for life (Jessica’s life). While frightening, I became hardened to it; and became accustomed for waking at 3 am to check blood sugar levels. I was often tired but aren’t most mothers!! I would not under any circumstances change Jessica or her condition. I believe from the bottom of my heart that her lovely, happy character is partly due to her condition and I love her dearly. From age 20 months to 5 years. I wrote the first part of this story in December 2002, it is now April 2005 and a great deal of things have happened. I have managed to keep Jessica out of hospital except for yearly ‘MOT’s’ at Great Ormond Street. These MOT’s just assess how she is doing on her insulin and digestive enzymes. Over the last couple of years Jessica has been through many different insulins. One in particular worked for over a year, Novomix 30, with only two injections a day. Her blood sugar readings were not perfect but in mine and our doctors’ view, the best we could hope for. Then last December (2003) the Novomix just stopped working effectively enough. I changed to an old insulin, Mixtard 30, that I happened to have in my fridge! This was slightly better but not that good. So in February 2004 we went to stay at GOSH for three days. They attached a CGMS to Jessica. This is a Continuous Glucose Monitoring System. Jessica thought it was great as she had a computer attached to her. She had to have a pager size monitor tucked in her trousers for up to 5 days which measured Jessica’s blood sugars every 5 minutes for 24 hours a day. I removed it after only 3 days and once we had the results back it showed that it had only worked for a total of 24 hours. It did show us that Jessica was going hypo overnight without me realising. This particular night she had dropped from a high reading 17.4 mmol/l (313 mg/dl) to a very low reading 3.2 mmol/l (57 mg/dl) by the early hours. This was not good. I immediately changed back to the Novomix 30 insulin. Even though this was not working as effectively as it used to, it did not seem as dangerous as the Mixtard 30. We waited for a free bed in Great Ormond Street. One came up in May 2004 and off we went for another weeks stay. This time we changed to a relatively new insulin, Lantus Glargene. This was new to us and also new to GOSH. It meant a whole new way of thinking with regards insulin injections and how many and Jessica’s general diet. For the first few weeks Jessica’s readings were all over the place. The new Lantus is a constant insulin requiring one injection at the same time every day. We opted for 5 pm. It was like a background insulin running in her with only very slight peaks and troughs, not like other insulins which can rise and dip all over the place. In addition to the Lantus, Jessica would also need quick acting insulin to cover her mealtimes. Originally I tried to just give Jessica only two other injections making a total of three (including the Lantus). She had an injection of quick acting insulin at tea time and one at breakfast. I hoped the breakfast insulin would cover her lunch. It became clear this was not going to happen and Jessica had to go up to four injections per day; one of Lantus (which we had to change to 8.30 am) and one injection of quick acting (Novorapid) after each main meal. I received lots of advice from a couple of other parents on the internet whose children were on Lantus and quick acting. I have learnt very quickly to adjust the dose of Novorapid to the amount of carbohydrates eaten per meal. Jessica can now eat a normal diet. I then calculate the amount of insulin she needs to be given based on the amount of carbs that she has had. It is really complicated and I often misjudge. I have generally kept Jessica on the same eating plan as before, based around carbs and for Jessica pasta works best which fortunately is her favourite food. She still does not have any sweets at all but does have the occasional chocolate and ice-cream so that makes her happy. As a result of this regime I now feel I have the best control of Jessica’s blood sugars than ever before. The majority are lower rather higher. I can now sometimes even tell when Jessica is too high as her behaviour is different. Before I could never see the difference as she was generally always too high. Jessica still does not show any symptoms when hypoglycemic, so I still have to test her fingers every 1 ½ to 2 hours. I still have to stay up late at night to test to make sure she is safe overnight and then get up reasonably early every morning for the 8.30 am Lantus injection. 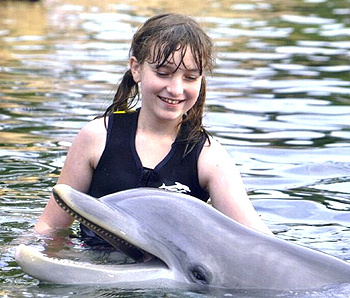 At 5 years old Jessica is very aware of her condition. She can nearly do her finger testing herself and loads all the insulin pens herself. I still do the injections though. She is very good when it comes to parties and sweets. If anyone ever offers her a sweet, she either just says no or asks me. She is just great. Only once has Jessica ever said to me ‘I don’t want to be diabetic, I want sugar’ but that passed extremely quickly when I told her that she was special. Jessica started school in January 2005. It was a frightening time for me. There were numerous meetings with the school and the local PCT (Primary Care Trust) and after a few hiccups Jessica is now settled into a routine. She has two carers to watch her constantly (one for the morning and lunchtime and one for the afternoon). There is a care plan in place and a community nurse gives Jessica her lunchtime insulin injection. The carers have been trained to test Jessica’s fingers and deal with hypglycemia when it occurrs, which they have had to do a few times already. They also administer the Creon and make sure Jessica eats all her snacks and all her packed lunch. The school is fantastic, everyone has been involved and I am overwhelmed by the help and support that Jessica has received. Without this help from the school and the PCT Jessica would not be attending school. The other major event in the life of Jessica disturbed me more than anything and left me with little faith in my local authority. I was informed that Jessica would qualify for a Blue Badge (the disabled parking permit). Most of the HI children in the USA have the equivalent, the same for the Irish families I know and also the English families. I applied to my local council and was refused. The criteria is so shaky that different councils interpret them in different ways. I fought for nearly two years for a badge. If Jessica collapses with hypoglycemia whilst we are out then she cannot walk for sometimes hours afterwards. I then have to carry her, her medical equipment and any shopping we have. I need to be able to get her to the car as quickly as possible. Jessica and I appeared on the front page of our local newspaper but still to no avail, our council were not budging. I spoke to the Department for Transport who agreed that Jessica did qualify under the discretionary criteria, this did not help me either. Today : Jessica is an extremely happy, intelligent, well adjusted 5 year old girl. She is into all things pink and girly. She does ballet and swimming and loves going to school. Her reading and writing is brilliant and she learns very quickly. She loves life and lives it to the full. How I feel : I feel the same as I did when I wrote the first ‘how I feel’. My mum is still my mainstay and I do not know what I would do without her and my Auntie Linda. They are a tremendous support for me. I love Jessica more than ever and still would not change her, although a couple of ‘lie ins’ in the morning would be nice!! She is a delight to take out and quite happily amuses herself when I have to work at home. I am sure I will update this again in a couple of years and I often wonder what will happen next in our lives. Since the last update until December 2006 nothing really changed with Jessica’s insulin regime. We carried on with the Lantus and Novorapid regime until January 2006 we decided it really was not good enough control for Jessica’s blood sugar levels. We were referred to the University College London Hospital who are very knowledgeable about insulin pump therapy.We started the ball rolling for funding as we knew from previous experience this was not going to be as forthcoming as we had hoped. We were right. The hospital purchased the pump and the PCT are asked to fund the consumables like the tubing and canulas to enable the insulin to be carried from the pump into Jessica. However we needed to have the newest pump on the market which is called a real time pump which has a continuous glucose monitoring system built into it which needs sensors rather than canulas. This means the pump consumables are in two different parts. The PCT agreed to fund the insulin part of the consumables but not the sensor part. This finally was put before the Exceptional Circumstances Committee and they eventually agreed to fund this. So on Thursday 14 December 2006 after training sessions Jessica started pumping. What a breakthrough with sugar level control this has been. It is not perfect and never will be but with slight tweaking every so often and proper carbohydrate counting the pump is fantastic. The difference in Jessica is amazing and literally happened overnight. As soon as we obtained some semblance of good control she became a different child. She has so much more energy both physical and verbal!!! She is a much happier child (although she was not unhappy beforehand). Jessica has to wear the pump constantly which some people are dubious about but it really is no problem. She has one injection every three days to change the canula which does not hurt (I know this through experience, I had it done to me!) The carbohydrate counting I always used to dread is really quite easy. I have a couple of books and I do a lot of guesstimating now which I am pretty good at. The school have been fantastic and the two carers came to the pump training days and are still brilliant and I still trust them. The doctor and two DSN’s (diabetes special nurse) at the UCLH are just fantastic. They listen to the parents and work with the parents and understand us. This is just what we need and there are plenty of hospital around the country which could learn a lot from these people. I also joined a ‘children with diabetes’ email group (www.childrenwithdiabetes.com/uk) and have been a member for about two years now. It is fantastic and have lots of very good friends now who I have never met but we are all in the same boat and all talk the same ‘diabetic lingo’. In fact we have arranged a weekend away so that we can all meet and also so the children can meet lots of other diabetic children and be in the majority for once. We also finally in January 2006 obtained the Blue Badge Parking Permit. This is a huge bonus. This means that I can park nearer to our destination so that if anything happens to Jessica we don’t have as far to go. Her medical bag, since pumping, seems to have doubled in weight as well. I still occasionally have to take the buggy out just to carry the bag. We do get odd looks though, as Jessica who is 7 next week, wears clothes for 9 year old and is far too tall and old for a buggy!!! Today: Jessica is still the same child but now has a pump attached and overall has more energy. She is very happy and now goes to a drama/singing/dancing club. She was awarded a certificate last week for the ‘most improved’ performer. Now of course she wants to be a pop singer or actress. She is also looking forward to joining the Brownies after Easter and has a ballet show coming up soon. How I feel : Not much has changed. I still idolise Jessica, she is an inspiration to me and shows me how life should be lived: to the full with fun and laughter. The pump is a lot more hard work and there are plenty of sleepless nights but this is a small price to pay for the child that Jessica is today. I also never thought I would say that carb counting is easy! Quite a while has passed since the last update and so much has happened. In December 2007 we made a huge change to our lifestyle and moved house and moved area. We now live by the sea rather than outskirts of London. It is lovely, the pace of life is slower which I needed more than anything, and also it is a really good place for Jessica to grow up. We still travel to London to UCLH for the diabetes care and GOSH for the CHI care, we met the local team to us and didn’t rate them much and still don’t! I wish care was consistent everywhere but it isn’t. Jessica has been on an insulin pump now for 5 ½ years and also has CGM (continuous glucose monitor) attached to her pump full time. This is all funded by the NHS for us so we are lucky as this seems to be a postcode lottery in the UK which is awful. We use the Medtronic VEO pump. Having full time CGM is as life changing as initially getting the pump all those years ago. We can fine tune all the pump setting and our last HbA1c (for those that know what I’m talking about) was 6.7. I have friends who have trialled the closed loop system (well one of them as there are lots being working on by different companies). This takes the pump plus integrated CGM to another level and will be out within the new few years, unfortunately though I have a feeling that it will once again be a post code lottery as to who gets these. At the last update we were looking forward to meeting people we knew through the Children with Diabetes UK group. Well we did and we just had our sixth annual meeting in 2012. I arrange this myself for families with Type 1 Diabetes. The very first one we had there was 14 families. In May 2012, this year, there were 300 people. We have grown enormously and we nearly take over a lovely holiday park in the Cotswolds every year. Our group is official now as well and are called The UK Children with Diabetes Advocacy Group and have our own website www.childrenwithdiabetesuk.org . We are the UK branch of the USA Children with Diabetes whom we have a lot more to do with now and have met lots of them. The USA Children with Diabetes group now bring their Friends for Life conference to the UK. We have been to three of them and our 4th is in October. In 2013 it is going to be held in Glasgow for our Scottish friends. It is a weekend of mingling with others like us and of conferences with the most fantastic people from everywhere who talk about anything and everything we need to know about type 1 diabetes. It is just an excellent weekend. Care for pediatric type 1 diabetes is hopefully changing enormously in England by 2013. There is now the Best Practice Tariff and I am involved in a network in the South East and London area to help this area come up to scratch. Care and knowledge is seriously lacking in many areas in the UK and finally this has been recognised. I still help with the HI Fund charity which is very important to me, I speak to Clare our GOSH nurse and Dr Khalid Hussain our GOSH doctor many times throughout the year. Our xmas parties have been held annually and are a real hit. Sir Terry Wogan is our charity patron and he attends our parties which is a bonus as well. Jessica started secondary school in September 2011. What a frightening time for me as mum, more than for Jessica I think. We had many meetings with the SENCO (Special Educational Needs Co-Ordinator) and staff that would be meeting Jessica. So far everything has gone well and smoothly. Communication is the key and it is very good between the school and myself. I am very grateful to the staff at the school but also to Jessica who has just amazed me once more. I thought she would be forgetful and just do nothing with her diabetes care (she does sometimes forget she has type 1 diabetes due to CHI). This has not happened. Jessica has just sailed through and does all her tests and reacts when needed and gives herself insulin when needed and does all her own carb counting, she is fantastic at it and consequently is superb at maths. It is a big old adult sized condition on very young shoulders and whilst at school she does it all without any complaining. She is brilliant and I’m extremely proud of her. She is about to begin year 8 which is the second year of secondary school and hopefully it will be as smooth as the last year. Hormones are interesting. It really is amazing for a parent of a child with CHI or type 1 diabetes to watch what happens to blood sugar levels. We can tell when our child is going to be ill or whether they are growing or whether the ‘teen’ hormones are kicking in and when. This is especially so with CGM as I look at the mountains and molehills appearing on the graphs when I download. Luckily I can tweak insulin rates to help combat the highs and lows these hormones bring but they do like to creep up on us sometimes and it plays havoc with levels. These things are sent to test us. I haven’t yet been asked ‘can I go into town with my friends please.’ I am keeping quiet about that as that just scares me silly. I know she can look after herself, Jessica proves it every day at school but what about the one time the CHI/type 1 diabetes decides to play up and there is no-one there that can help her like the school staff would be able to or me if at home. Just frightening and something I need to get through rather than Jessica. Life is just one big trial really, we have to let go and watch them make their own mistakes and hope they don’t make them again. We have to have done a good enough job that they know how to look after themselves or show others how to do it when they just can’t manage it. 12 1/2 years old and spreading her wings. Jessica is beautiful, on the outside and inside, she is happy, kind and laughs a lot. We have a lovely life living by the sea. The only thing missing is a pancreas!